The Hawk Eye HD Nature Camera. Witness the Birth & Caring of Baby Birds in HD! 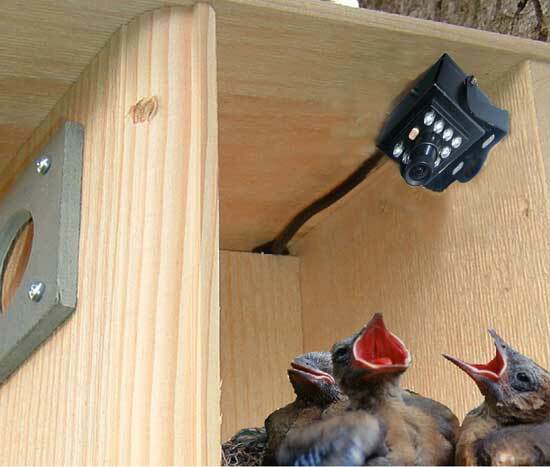 The Hawk Eye Nature Cam is a miniature television camera that brings the great-out-of-doors right into the living room! Miniature High Definition, 700 tvl (television lines), color video camera. The cam connects to any television or video compatible computer. Has 10 infrared diodes for unsurpassed night vision. Comes with 100 ft detachable AV/electrical cable, and instructions. 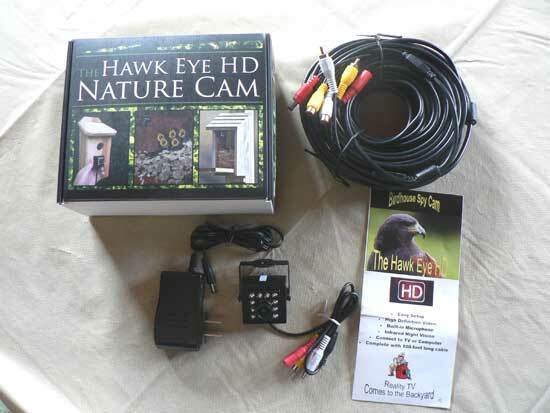 See my personal Hawk Eye HD Nature Cam Review! If you've ever compared regular TV to High Definition (HD) TV you'll know what we mean when we say "Oh Wow! That is an incredible picture." In this case, we were referring to the video coming from this, the newest nature cam. Believe us, if birds had eye lashes, you'd be able to see each and every one with this amazing camera. 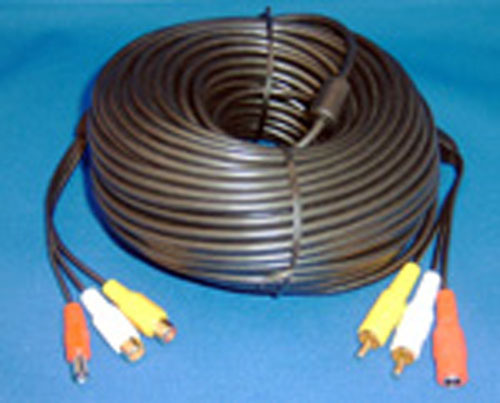 The cam connects to any television or video compatible computer through a 100' detachable AV/power cable, (RCA composit plugs) which is included with the camera. This is the same cable used for the original Hawk Eye, so the Hawk Eye HD can be plugged into existing Hawk Eye extension cables. Although its small size and night vision capabilities make it perfect for inside a birdhouse, you will be impressed with the full, saturated colors it produces when aimed at bird feeders and baths, those pesky deer browsing through the garden, pets, and livestock, or anything else you chose to watch. Hawk Eye Nature Cam 100 ft. Extension Cable.